Another update after visiting Michael's! 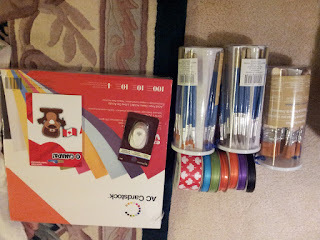 I bought those jars of brushes and Canada ribbon on clearance and the tiny punch for 90 cents. I visit Micheal's on a weekly or biweekly basis weather I have a coupon or not lol. They should seriously make a points card for me. 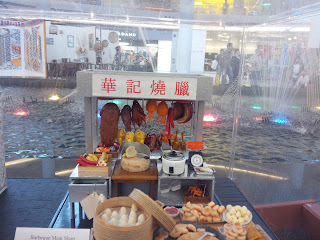 Today I went to Micheal's with mom after dim sum and bought several things. 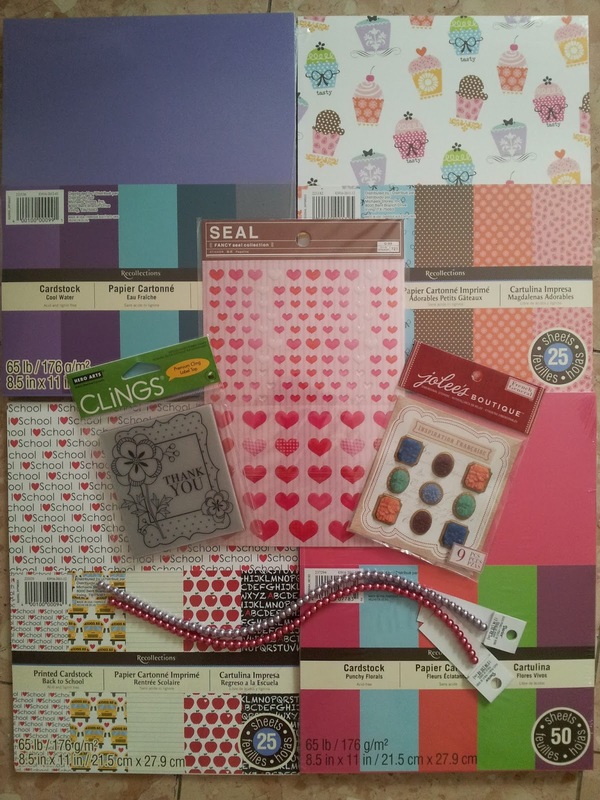 I also went to Daiso as I bought some <3 stickers. I've been wanting to get the cupcake stack ever since they came out but I never had a reason to buy some because I didn't' need it. But now there's the buy one get one for 1 cent sale so who can resist. The school stack will come in handy for my teacher friends ;) and the colored packs I don't yet have. The coral color has been my fav this year so I had to get a pack. I bought more beads for my 3 peas in a pod and the stamp and embellishments were on clearance. I haven't much inspiration lately and been super busy adjusting to my new job and my significant other moving out of town. I'll talk more about that later. 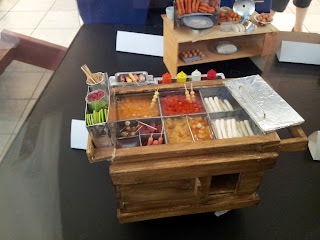 Lately I've been super inspired by food miniatures at Aberdeen Center I've looked at them 3 times. I love food and tiny food is so intriguing. I've made ice cream and donuts but food dishes to scale is a real challenge. I want make some of my own because they look so awesome. Please enjoy the below pictures while I take nice pics of my most recent craft creations.